Too Faced White Peach Eye Shadow Palette Swatches | Top Beauty Blog in the Philippines covering Makeup Reviews, Swatches, Skincare and More! Hello, friends! 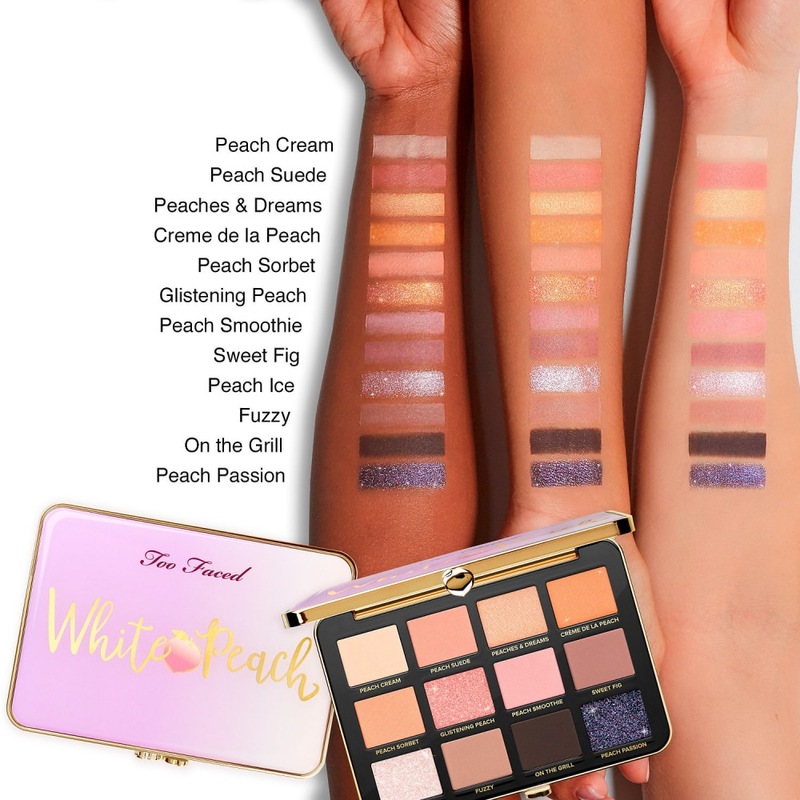 Here are the swatches of the new Too Faced White Peach Eye Shadow Palette – a matte, shimmer and glitter eyeshadow palette infused with peach and sweet fig cream. 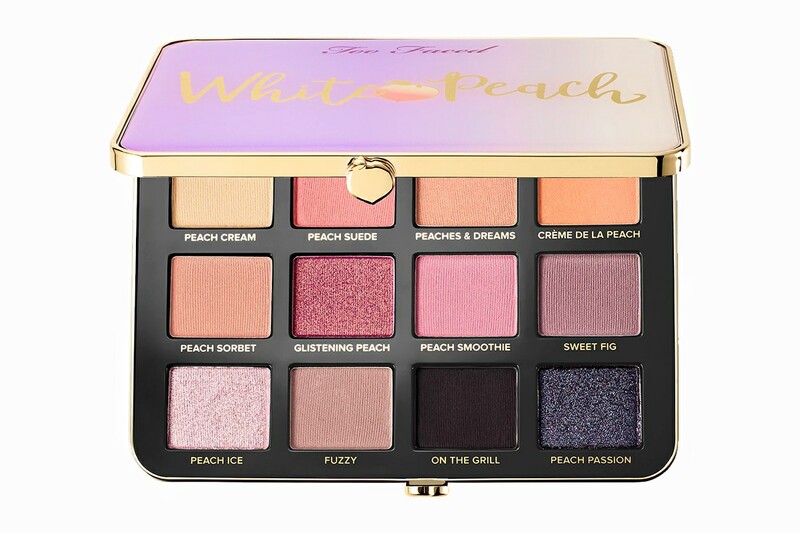 White Peach was created with matte, shimmer, and glitter shadows that add dimension and light to the rest of the Too Faced Peaches and Cream collection. 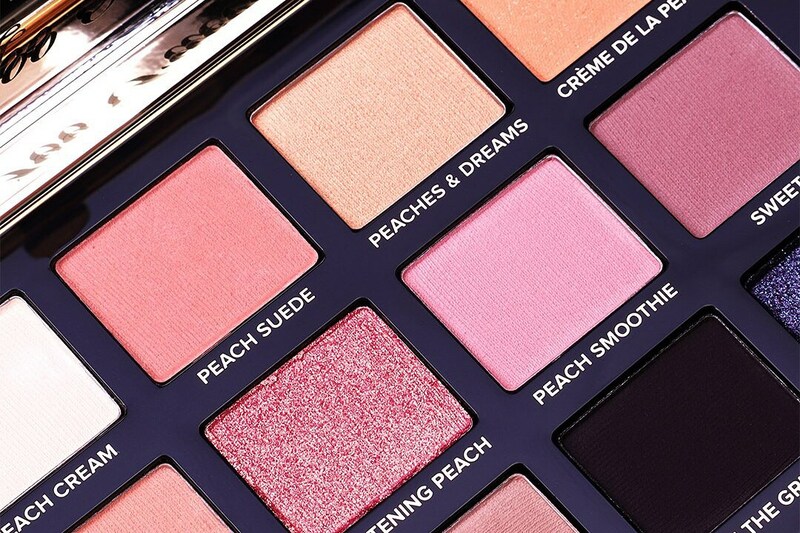 Infused with refreshing peach and sweet fig cream, this palette features an assortment of sparkling peach, champagne, soft pink, and deep plum shades that smell and feel delicious—for a modern way to take your peaches and cream look to the next level. love the shades of the palette! great post thanks for sharing. E o que não falta são opções!! !